In August 1982 the Terry Riddick family arrived in Cameroon working with an oil company. While they worked for the oil company, God allowed them to start the first United Pentecostal Church in Buea, Cameroon. 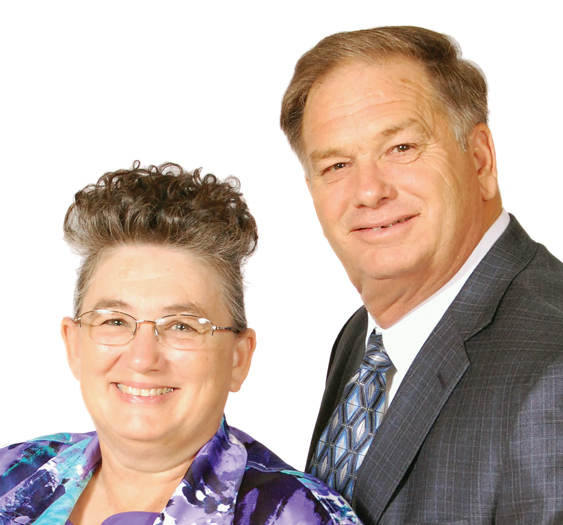 In 1986 the Riddicks returned to the United States and were appointed as full-time missionaries. Since then the Riddicks have been active in ministerial training, church planting, evangelism, and building projects. Cameroon is a bi-lingual country with both English and French being spoken as official lanquages. Even though this causes some difficulty, the Riddicks operate both portable Bible schools and a full-time Bible college taught in both French and English. The first regional missionary sent from the West Africa Sub-region is a graduate of the Cameroon Bible College and is now serving in the country of Equatorial Guinea. Terry Riddick also serves as the field superintendent of the UPC of Cameroon and oversees thirty-six licensed Cameroonian ministers. When the Riddicks returned to Cameroon after deputation in May, 2012 they transferred to the national capital, Yaounde’, to pioneer a work there. In spite of the barrier of French being the primary language in Yaounde’ the Riddicks are seeing progress, and have had thirteen graduate from a portable Bible school there. As the Riddicks are preparing to leave Cameroon to return for furlough they are expecting a great outpouring of the Holy Ghost in both French and English Cameroon. Terry’s birthday is and Cheryl’s birthday is .